An exquisite choker which is consisting of Glass Round Double Shaded Pendant with Black chord choker. 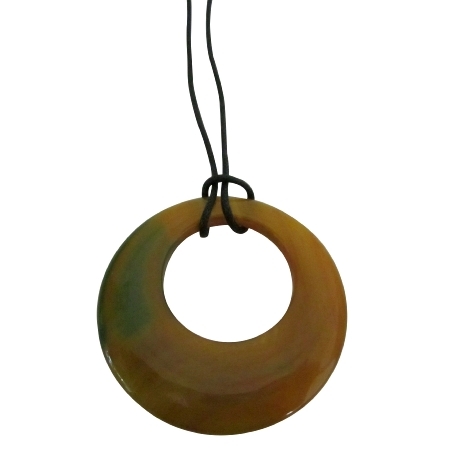 The most focal point of this Necklace is Round Glass Double Shade Pendant Green/Yellow can wear both sides this is very popular gift for someone you love or special. Good shinning surface quality.